You know when Spring arrives because everybody is ready for baseball. I can’t wait to see a couple of more games this year. Last year we saw the Yankees and White Sox at home. This year hopefully, the Mets and Pirates at their homes. I took this one at Yankee Stadium last year. Mark Texeria looses his bat and it is caught by Spike Lee in the stands. Only in New York could this happen. You can buy a print of this one and see other pictures by clicking here. Where is My Damn Bat? Whenever we travel on vacation we miss our dog so we tend to glom on to other peoples dogs. 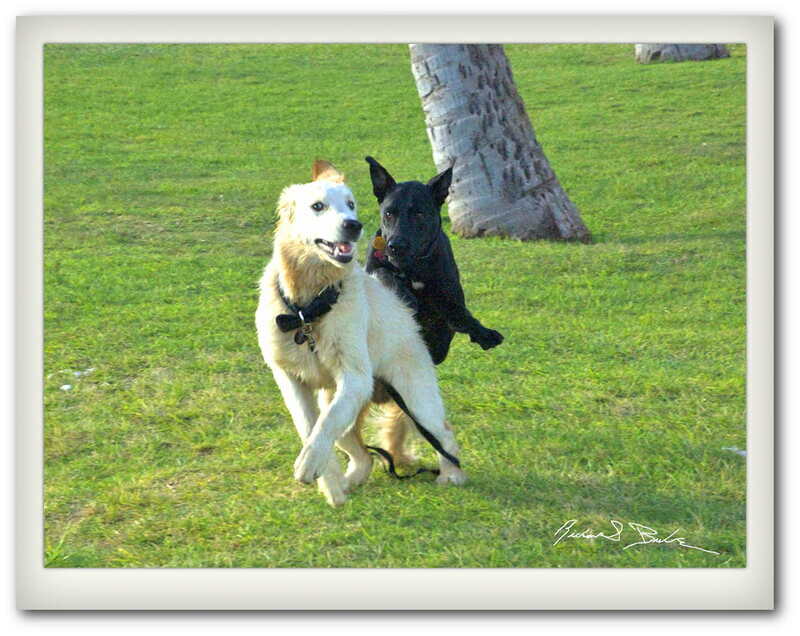 These two were playing on the beach at Kaanapali beach in Maui near a Maui Family Sunday Picnic. Making friends with the dogs got us invited to the picnic. Got to love the friendliness of the Hawaiian people. You can see other animal images at my Animals and Flowers Gallery by clicking here. 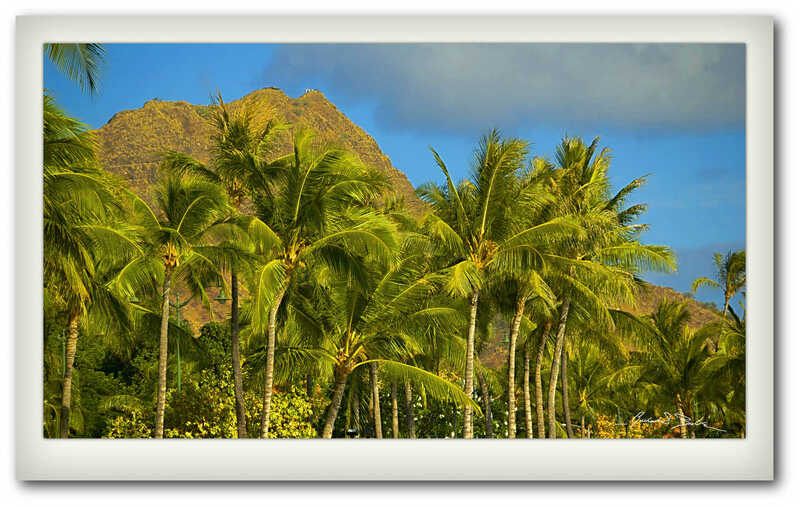 At the base of Iao Needle Park in Maui is a beautiful International Garden we vist almost every time we are on Maui. The park is great and led these young men in to the spirit of the dance. You can buy a print of this on my commercial gallery and see other images by clicking here. We first came across this spot while driving to Honukua bay to snorkel with the giant Honu or sea turtles. 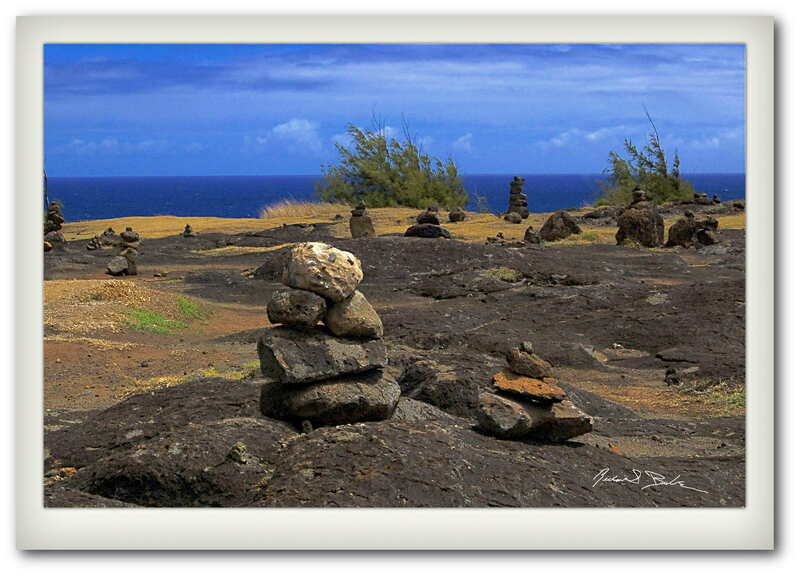 There were literally hundreds of these rock stacks looking over the Pacific ocean. We convinced ourselves that it must be some sort of old Hawaiian religious ritual. We also noticed them on Haleakala and other places on the island. I did some research and they have nothing to do with Hawaii. Apparently people do this all over the world and since then I have noticed them in other places at well. This just proves that all people are creative and the human mind provides endless ways for us to exhibit our creativity. 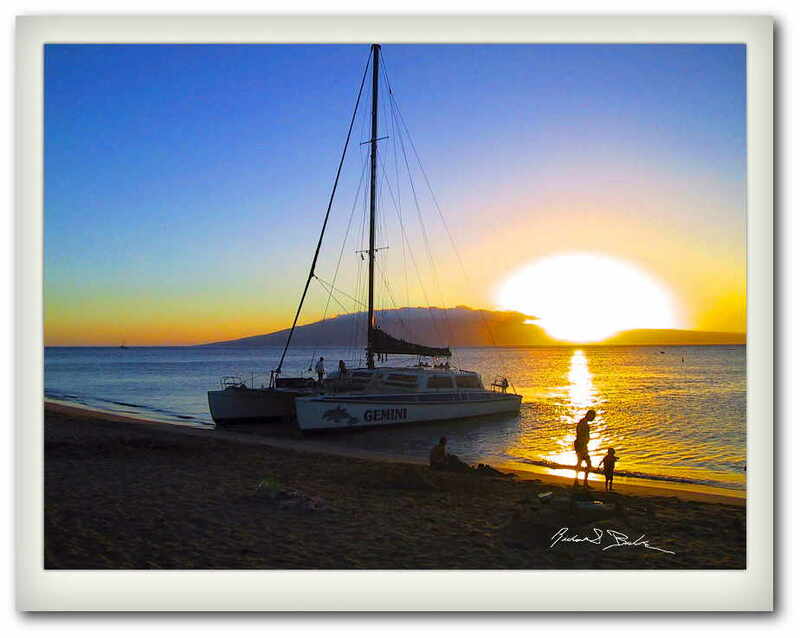 You can see more images from Maui at my commercial gallery by clicking here. One of the advantages of staying at Ka’anapali Beach in Maui is that each day you are treated to a beautiful Sunset. Sure very rarely it may rain but one of the most difficult decisions of the day is where to view the setting sun. In summer I like to be dinning on the beach at The Barefoot Bar or Pacifico and see the setting sun as we enjoy cocktails before dinner. In the winter, it is fun to be in Turtle Bay or Black rock to see the cliff divers. 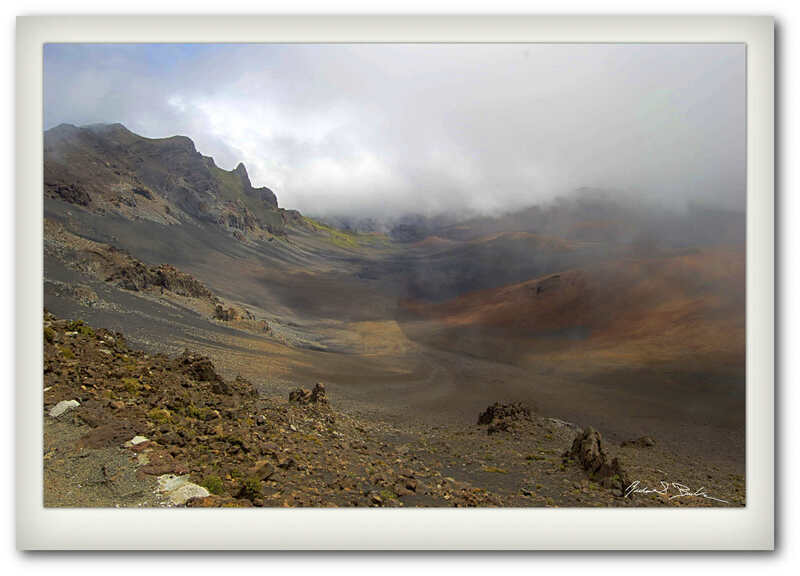 You can see other stunning Maui vistas on my commercial site by clicking here.